Another late one (think I'm going through a night owl phase again) and another boo boo with the GO part of the challenge lol, they are not golden oldie because for the 2nd time in a row, I totally forgot the purpose behind my mani... Scatter brain! Next week I'll get it right I promise!! Anyhoo, tonight's mani is a lovely triple dose of hot pink in my favourite technique - The Splatter! The base is two coats of the lovely white hypergel from Models Own. 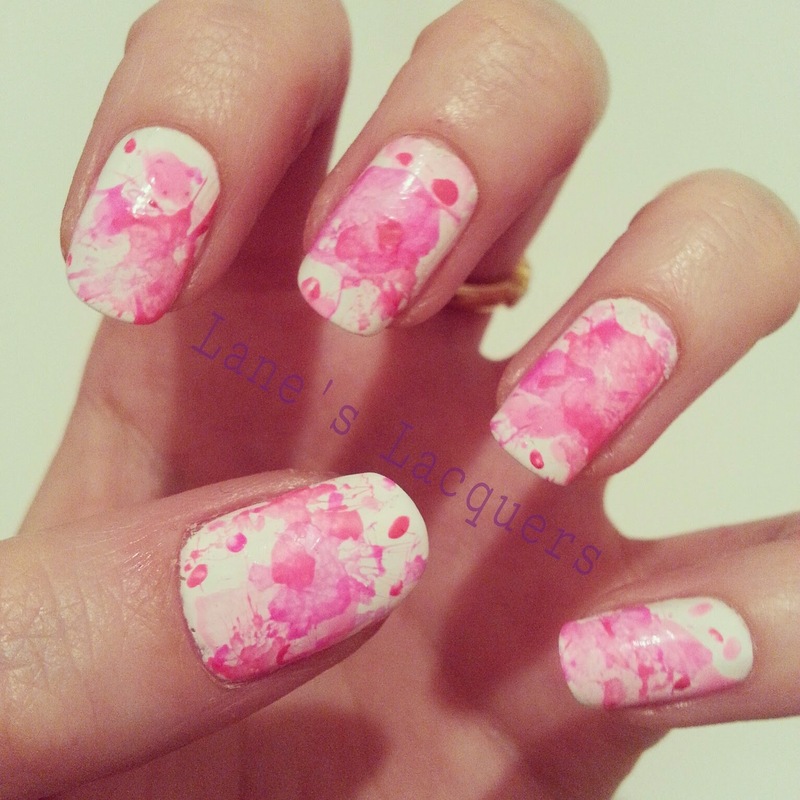 I then used my trusty pen barrell and three different hot pink China Glaze polishes for my splatter effect. I didn't topcoat because I liked the contrast between the high shine base and matte-ish splatters! LOVE how this turned out, the splatter reigns supreme lol! Fab summer look that you can be totally creative with! So pretty! 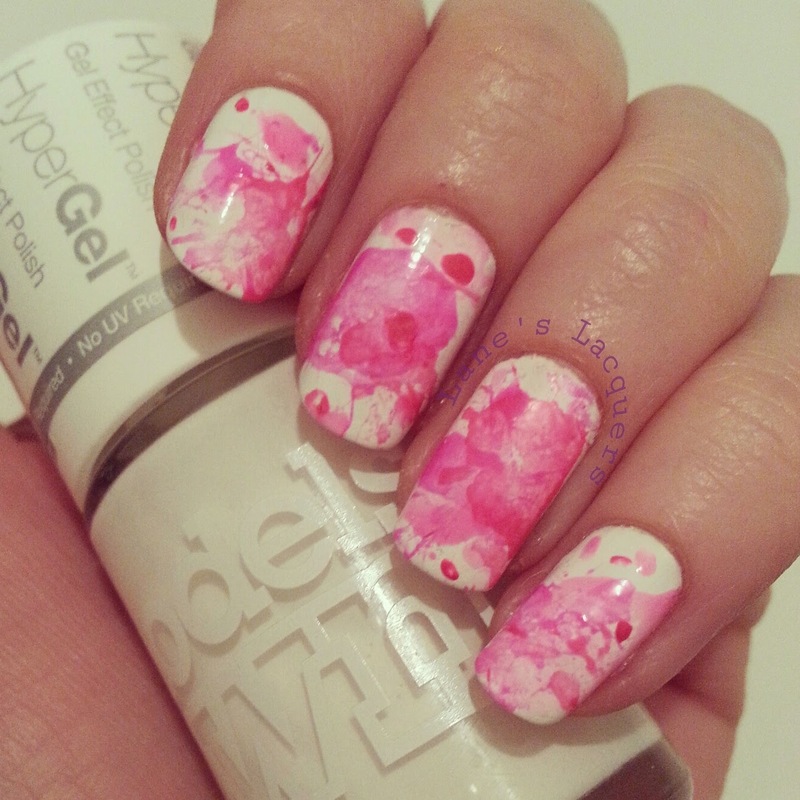 I love this, haven't done a good splatter mani in... FOREVER!